Sign up for Broadjam today to follow The High Children, LLC, and be notified when they upload new stuff or update their news! A women being honest with a man that there is some one else for you, its just not her. 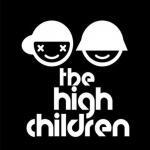 The High Children are a musical group worth listening to. The melodies, arrangements, vocals and instrumental quality is very high indeed. I wholeheartedly recommend The High Children for your listening pleasure. Thanks for supporting The High Children, LLC! Would you like to help The High Children, LLC get heard by industry pros by buying them a song submission credit to Broadjam Music Licensing Opportunities?